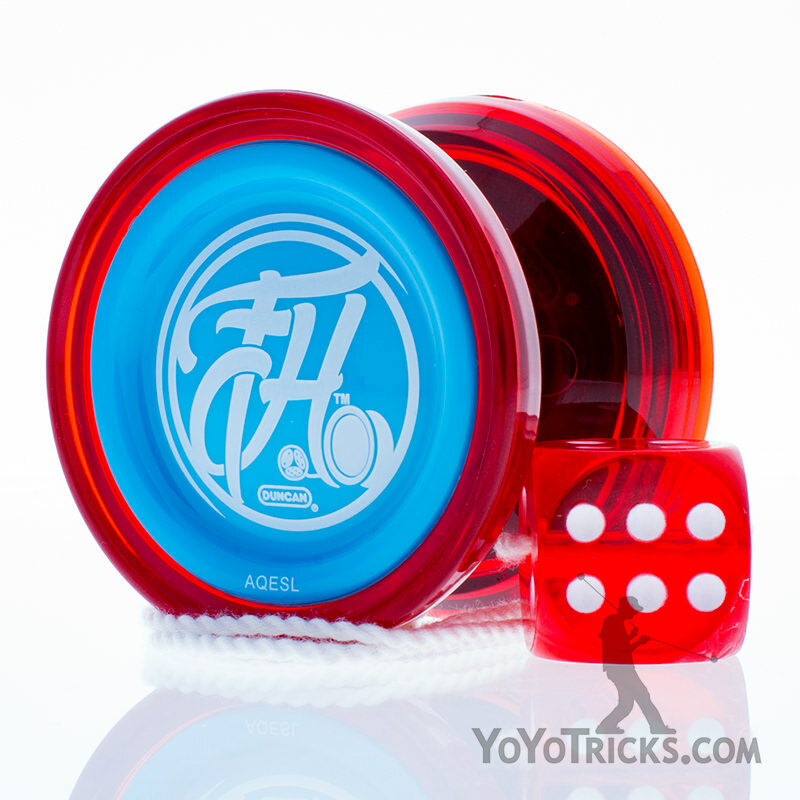 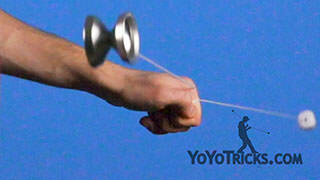 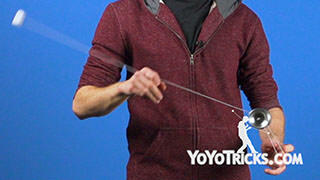 Learn the One-Hand Under-Mount Freehand (5A) Yoyo Trick. 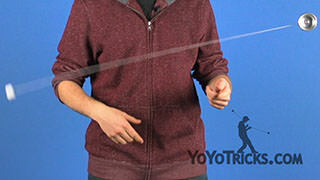 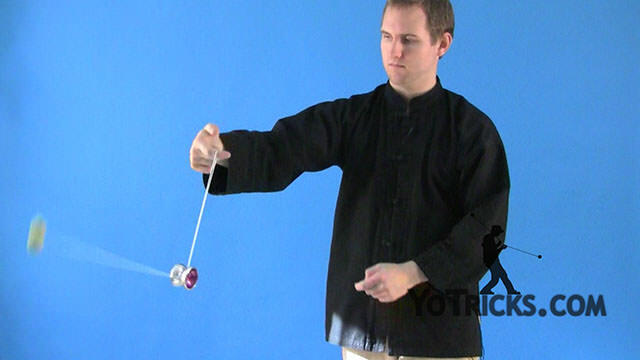 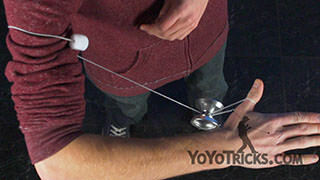 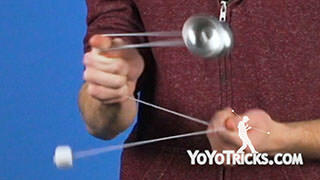 One-Hand Under-Mount Yoyo TrickThis trick is the One-Hand Under Mount. It looks like this. 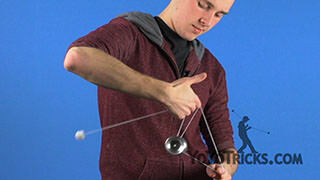 You can see that this is a really neat way to get into some of your front-style mounts for 5A to setup for other combinations. 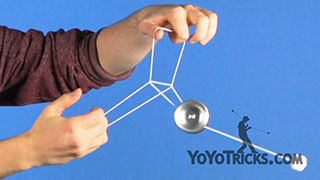 To do the trick you are just going to start by throwing the yoyo. 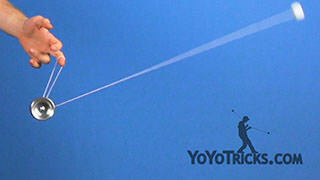 Get a nice good swing. 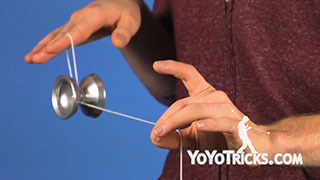 When the yoyo gets all the way out on its swing, what you are going to do is actually pull back, releasing the counterweight, and choking up to the middle of the string. 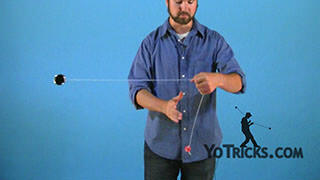 You want to make sure to get to the middle of the string, because if you get too close or too far away from the yoyo the trick won’t work. 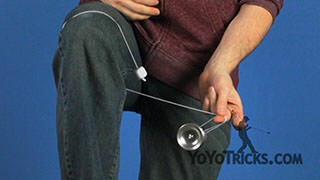 From here the momentum of the counterweight is just going to carry it through into the gap of the yoyo around so that you can catch it in your hand. 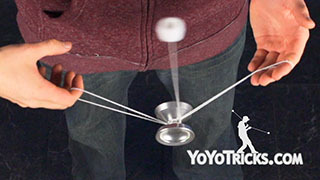 That’s really all there is to the trick. 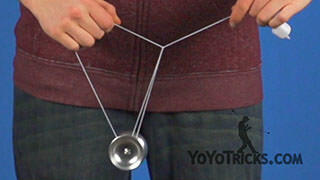 It just takes a lot of practice to get comfortable and to get used to aiming the string into the gap of the yoyo. 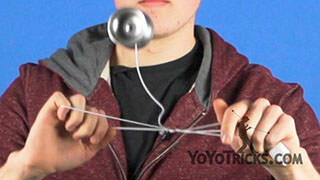 That is probably the hardest part. There are a couple of things that will help with the trick. 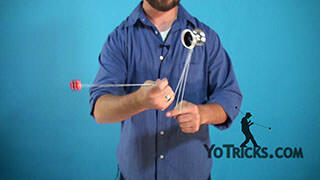 One, when the counterweight gets all the way out it helps if you pull up just a little bit. 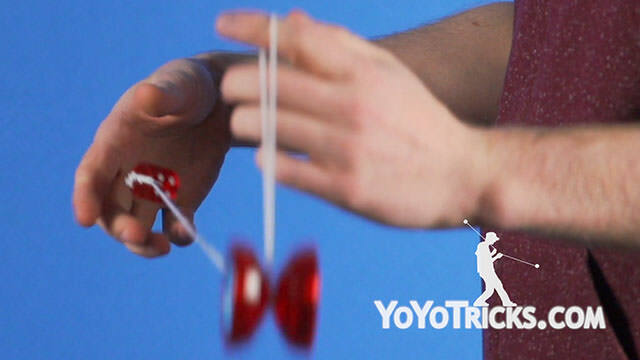 It gives it just a little extra momentum to come up into your hand so you can catch it. 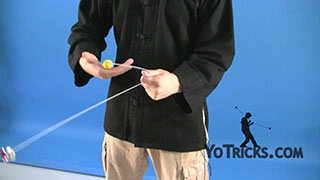 The other thing is you can do it around your whole hand when you are first starting out. 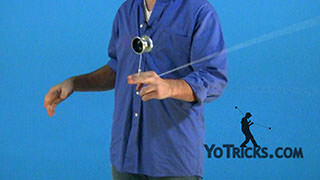 That might make it easier. 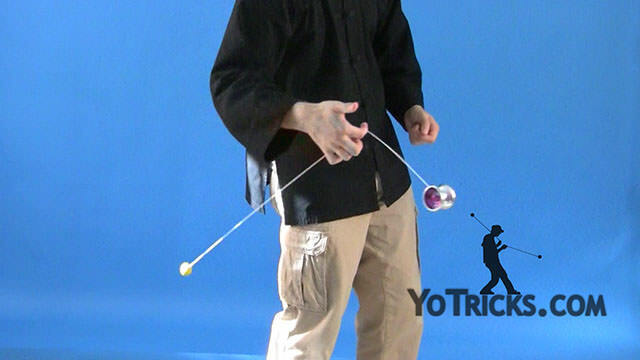 But when you really want to get into it, it is best if you just do it around your index finger because that sets you up for other tricks like the Nunchuck, which you already know. 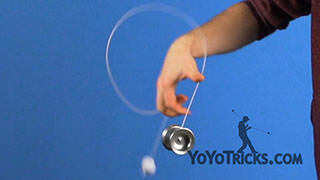 Really that’s the whole thing. 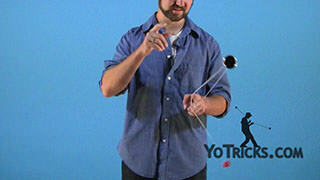 It just takes a little bit of practice, get used to it, get that aiming down, like I said that is the hardest part. 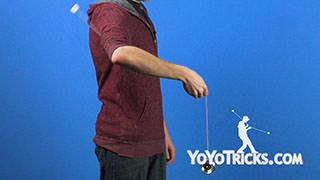 That’s the One-Hand Under Mount.